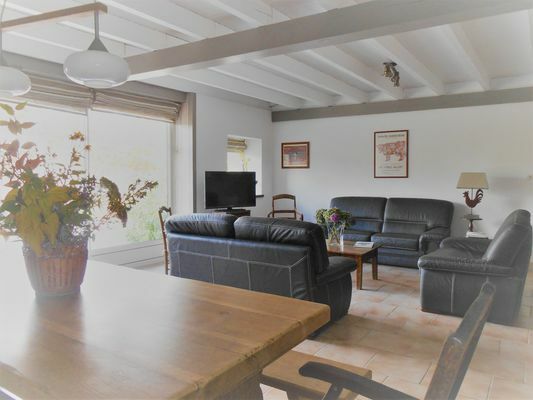 "La Bergerie de Saint Joseph" has four bedrooms and can accommodate nine people. Set in a converted sheep barn, the cottage has an independent entrance, a garage and a terrace along the front. It has many features that will help make your stay enjoyable: the fireplace in the large living room which is equipped with television, a mini sound system and DVD player, outdoor games and a fully equipped kitchen. That little extra something: the 180° view over the valley, and the lakes full of carp, pike, roach and gudgeon make it ideal for keen anglers. There is no review about La Bergerie De Saint Joseph, be the first to leave one !